Sunday night I threw together a little salad to go with dinner. Spinach, lettuce, grated mozzarella, fresh peaches, pine nuts. I had an extra peach on the counter and decided the peaches in the salad would be delicious topped with a Fresh Peach Vinaigrette. Never made your own dressing? It’s really simple. I like tart and sweet, so I usually try to incorporate the two. The general rule when making dressing at home is: 3 to 1. Three parts oil to one part vinegar. I always cut the oil amount, since I’m not into oily dressing. Be careful not to cut the oil too much, or you will have a dressing with too much liquid (ingredients that are water or liquid and not oil based) and not enough oil, and your greens will get soggy. 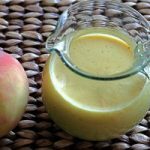 Here it is- my super fresh and simple Peach Vinaigrette. Whirl all of the ingredients in a blender. Serve over fresh greens. Store any leftovers in refrigerator for up to a week. This looks so good and fresh. I love the addition of the sweetness of the fruit. Si! I am a blog friend SLACKER! I can't even remember the last time I got to visit or comment on anyone's blog but I wanted to stop by and tell you THANK YOU from the bottom of my heart for sticking around through our craziness and always stopping by. Through all of our wild times across town here (I have told you before I'm just over here in Foxboro haven't I?) what a gift getting your comments are. Anyway, I just wanted to tell you that. 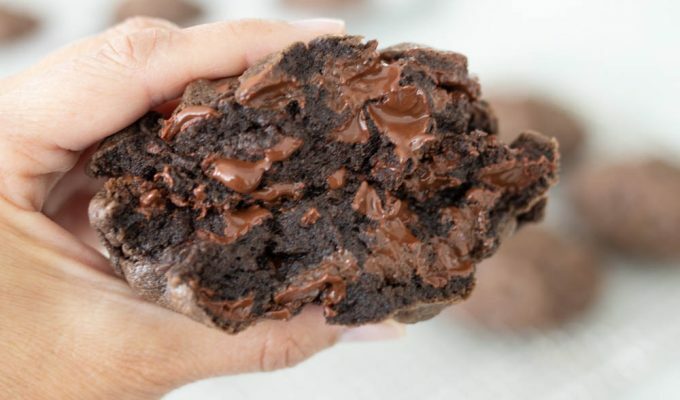 this looks so good!! i love that it only uses one peach too. because i'm okay with buying one peach for a recipe. i don't like buying 10 peaches because it gets real expensive… especially as a college student. but 1 peach? i can do that. it's like summer in a dressing. love it. I have a bottle of Peach wine. Was wondering how to make vinegarett out of it?